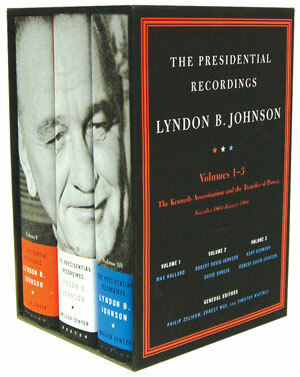 Lyndon B. Johnson secretly recorded 700 hours of telephone conversations as president. With these three volumes, slipcased with audio DVD, the University of Virginia's Miller Center of Public Affairs begins a groundbreaking series that will ultimately include annotated transcripts of all of Johnson's White House conversations. Covering the dramatic months of November 1963 through January 1964, these volumes depict a man coming to grips with the awesome responsibilities of the presidency while simultaneously trying to lead a nation and a government in mourning. Captured on tape are Johnson's efforts to conciliate the Kennedy family while putting his own imprint on the office. Abroad, he is consumed by a coup in Vietnam, a bloody anti-American riot in Panama, a near civil war in Cyprus, and persistent leaks from within his own administration. Domestically, he pushes forward the civil rights revolution and leads a single-minded drive to reduce the size of the federal budget to gain political room for his war on poverty.